Look out, the geese are flying! 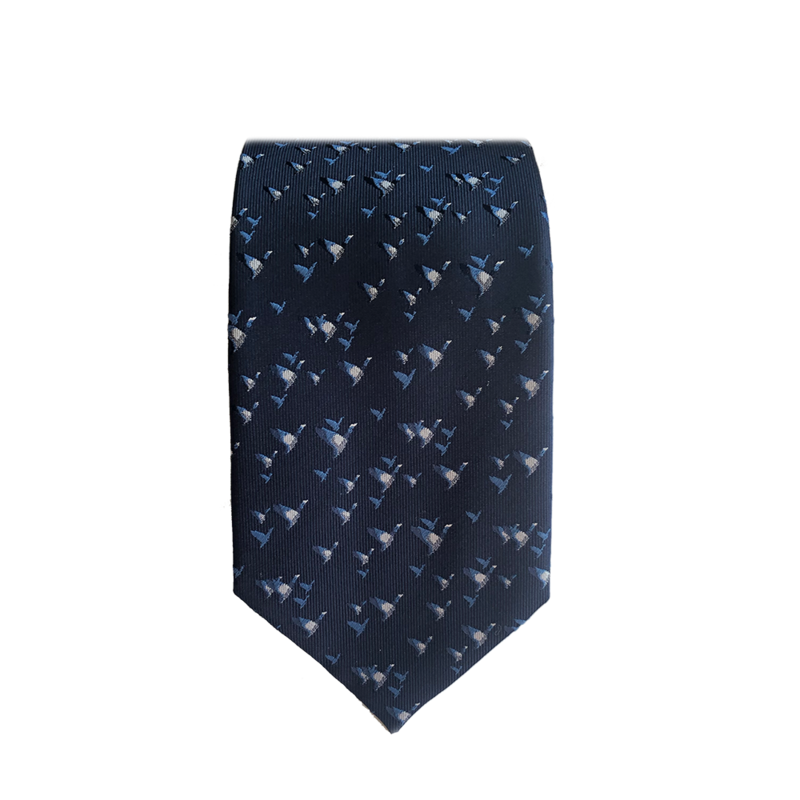 This foulard tie feature the popular bird on it. Once in a while, it's refreshing to wear an animal print tie. Add this to your collection.